Every story has a beginning, a middle and an end. In wrestling, these story arcs are usually pretty easy to define. Wrestler A and wrestler B have a problem, they spend a few weeks arguing back and forth and it culminates in a big pay-off match. Simple. Except, in wrestling, every ending is a new beginning. At the culmination of every big angle, the question becomes what happens next? There are so few wrestling storylines that have a real sense of finality because, as the old adage goes, the show must go on. After every WrestleMania Sunday, traditionally the event at which the biggest storylines reach their crescendo, there is a Monday Night Raw. The whole cycle starts again. There are, of course, exceptions to the rule. Moments where we experience a sense of completion are rare in wrestling. Moments like the retirement of Ric Flair at the hands of Shawn Michaels. Like Michaels himself being retired by The Undertaker. Like The Undertaker, his WrestleMania streak already broken, failing to beat Roman Reigns and disappearing from wrestling forever. Roman beating Undertaker at WrestleMania 33 was the perfect ending for a character that deserves one. Taker leaving his coat, gloves and hat in the ring was so symbolic and a fitting finale. He left wrestling as silently as he entered, his mystique intact, his purpose fulfilled. We accepted that this was the end, we were ready to let go of the man who had made WrestleMania so special for so long. It was time. John Cena shouldn’t fight The Undertaker at WrestleMania. Roman was the right man to retire him. Love or hate Reigns, he’s going to be a big part of WWE for the next decade, and being the man who retired The Undertaker would have been a great part of his own legacy. John Cena has nothing to gain from defeating The Undertaker. Conversely, Undertaker gains nothing from beating Cena. And why is Cena challenging The Undertaker to begin with? He’s so desperate to have a match at WrestleMania that he’s calling out a man who is, for all intents and purposes, retired. He doesn’t look like a defiant hero, standing up to the iconic Deadman. No, he looks like a chancer, forcing a 53 year-old man to defend his reputation. I don’t know if this is a case of WWE being unable to let “The Phenom” rest in peace or if Undertaker can’t quite give up. I understand the allure of bringing him back year after year for a special WrestleMania match. There’s still a desire to see him perform on the grandest stage, but it’s morphed from an expectation of it being the best match on the card to a morbid curiosity to see if he can still go. 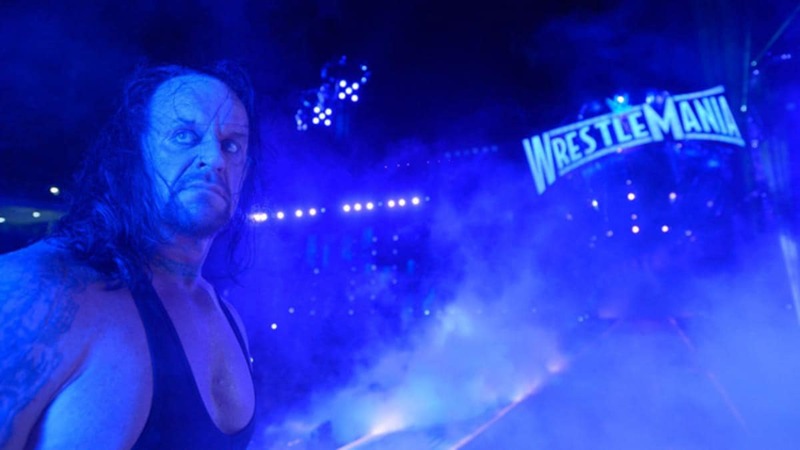 In an industry built on false finishes, The Undertaker has been involved in more true endings than most. He ended the career of Shawn Michaels at WrestleMania 26. He ended an era with Triple H at WrestleMania 28. He saw the end of his own streak at WrestleMania 30. Yet a real ending to his own storied career is always out of reach.